Reservations for our 2018 CSA subscriptions are now open. 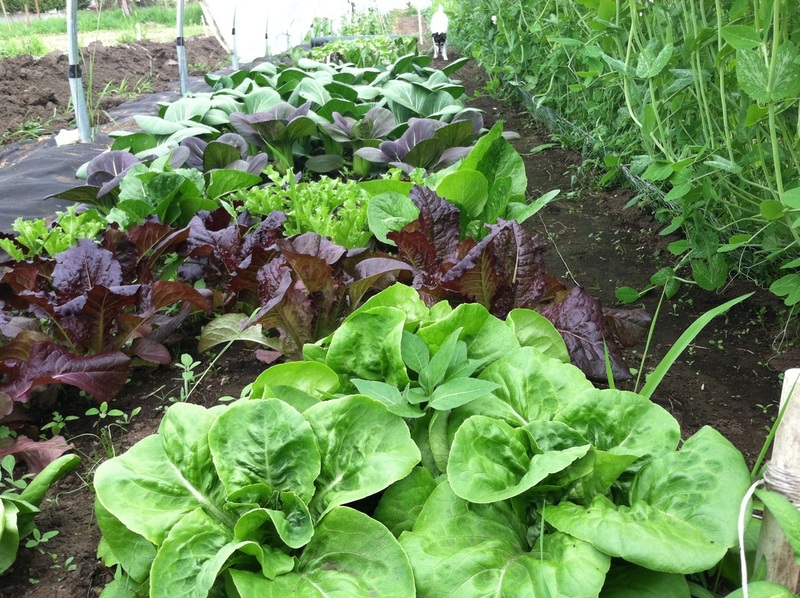 From June through October, our 5-acre farm produces a variety of vegetables grown without pesticides including lettuce, bok choy, kale, carrots, green beans, beets, potatoes, onions, garlic, eggplant, chard, broccoli, cabbage, tomatoes, summer and winter squash, cucumbers, peppers, corn, and pumpkins. The season is 20 weeks. Weekly shares come in two sizes--regular and lite. The regular share feeds 2-3 adults or a small family. The lite share feeds 1-2 adults or families who eat smaller amounts of vegetables. Shares are picked up at the farm on Monday or Thursday. If you live in the Bridlewood, Bush Prairie, Deschutes Ridge or Park Ridge neighborhoods, we deliver to you on Mondays. To stay connected to farm news and events, please join our Facebook page. And, to follow farm activities during the season, go to our weekly blog by clicking on the tab "On the Farm".